The Duffez Distillery is producing essential oils in Drome Provençale since 1947. Our family business has grown up for the last past 60 years, and we have invested in our distillery to be one of the biggest essential oil suppliers in France. We produce the best quality to offer you and your customers every essential oils benefits. The Duffez family has worked hard on her fields to cultivate and collect the best Lavender and Lavandin species quality. As an example, in the years 90, we have begun to distil French Provence Cypress branches. All our Cypress essential oils are now appreciated of all the pharmaceutical companies as well as creators of flavors. 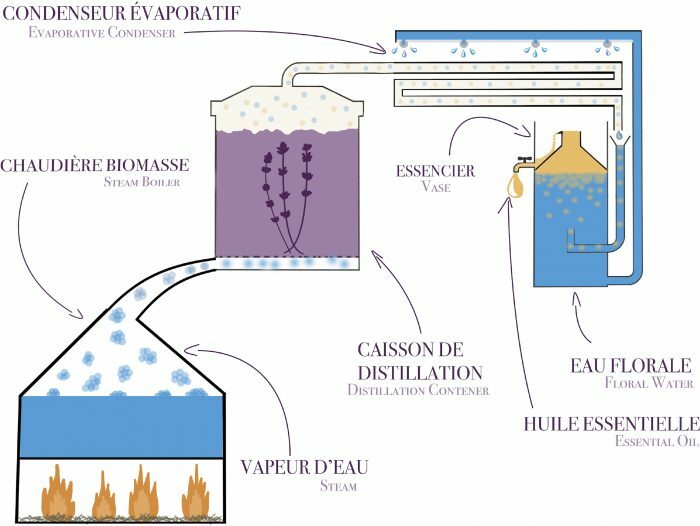 Developping Provence Cyprus distillation for more than 10 years, we are now the French leader in Provence Cypress essential oil. We have developed a farmers network to collect Cypres branches or the Cypress essential oil conventional distillation. Our great experience in distillation gave us the opportunity to produce and distil other botanical species like juniper, laurel, peppermint, thyme or Helichrysum italicum. We are currently working to develop our product portfolio to meet the requirements of our customers and meet the future market demand. We have acquired our savoir-faire during more than 60 years. Our production and the quality of our essential oil are based on 50 years of family history. We use all the modern techniques to distil our vegetables. – The distillation in boxes allows to harvest vegetables directly in the field and to prepare them for the distillation. This one is facilitated by the use of a hat closing the box to distil the vegetable and obtain essential oil. The box was completely rehabilitated and modernized thanks to an aluminum dubbing. This vase of distillation allows us to produce in a traditional way essential oil of available vegetables in smaller quantities, as Helycrise Italienne of Corsica for example. we invest in 2016 in a new distillery located east of Montélimar. and lavenders in Drôme Provençale. will allow us to obtain very high quality essential oil. 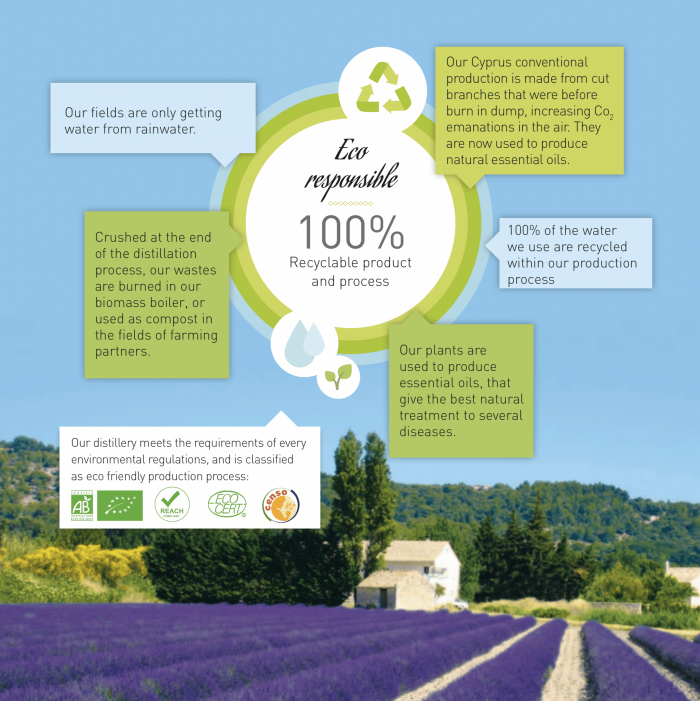 We are producing essential oils for the last past 50 years in Drôme Provençale. The family heritage continues within our exploitation, and we are eager to respect our traditions to guarantee an optimal quality to our customers. Our production of essential oil is based on the knowledge and the techniques developed throughout the working years within our distillery. Our harvest process respects Environment and Nature to assure a better production and a preservation of the plant heritage. We are able for the most part of our essential oil to guarantee the supply of the same quality batch all year long once this batch is approved by your quality service . All our tanks are sampled, and we have all the certificates and the bulletins of analysis. We make a commitment to meet the deadlines announced during order taking to assure you to get your essential oil in the best conditions. The quality of essential oil and delivery service brought to our customers is a priority. The respect for the quality of our essential oil is a strong axis of our daily activity. Based on a historic heritage, our distillery was optimized over the years to obtain essential oils meeting the quality requirements the most demanding customers within the framework of the current cosmetic and pharmaceutical regulations. Our distillery and its organic products are Reach and Ecocert certified.